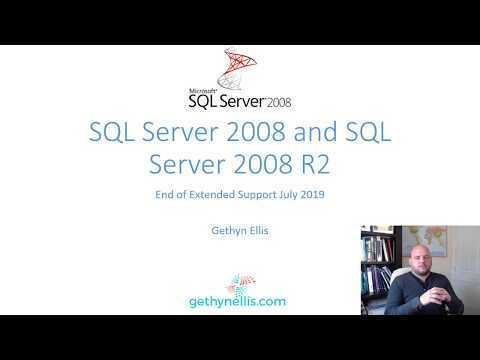 Welcome to gethynellis.com: Upgrading to SQL Server 2012? Upgrading to SQL Server 2012? Do you have any plans in place to upgrade to SQL Sever 2012 this year. We are now well into 2013 and its been almost a year since the RTM of SQL Server 2012 which happened 1st April 2012. Service pack 1 (SP1) has been released too (http://www.microsoft.com/en-gb/download/details.aspx?id=35575), which I know for a lot of you is still contributing factor to your SQL Server upgrade decisions. “We always wait for the first service pack” is a phrase I hear frequently. I am expecting that many people will be upgrading to SQL Server 2012 in the near future. If you need training on the new features of SQL Server 2012 for the DBA then maybe Learning Tree's 2105 SQL Server 2012 DBA skills upgrade course will be for you. If you are upgrading soon and need the training quickly then the next scheduled run is Rockville Maryland starting 26th March. Remember even if you are based in the UK and Europe (Or anywhere else is the world for that matter) you can still attend the course in Rockville by using Learning Tree's online delivery option 'Anyware' By attending online you can attend the course in Rockville remotely from the comfort of your home or office. The Rockville event is being delivered by Sharon Dooley - a former SQL Server MVP and Technical Editor of the course. If you want to enrol then click here. Its also scheduled to be delivered in New York in May, again Sharon Dooley will be your instructor, if you would like or prefer to attend this event instead then use this link to enrol. The course is running in Toronto starting on the 22nd may click here if you would like to attend this event. This article will help everyone to know so much important information about on gethynellis.com.It is very helpful in using social media sites. It is very alternative for people and helpful to anybody. You may know me by it No Pay No Stay Provides Services For Eviction Process, Eviction Service, Houston Eviction Texas, Vacate Notices, File For Eviction, Property Management, Sell Your Property And More.